One Event on Thursday of Race Week has great tradition: K.S.C. 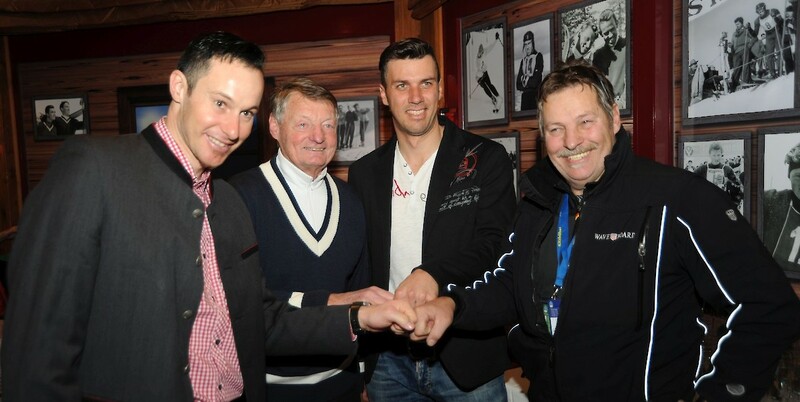 invites former winners of the Streif and Ganslernhang to a Reunion of Ski Legends every year in Kitzbühel. One regular guest at the Hahnenkamm Races is Sepp Ferstl. "Nowhere else in the world are former racers made more welcome than in Kitzbühel", of this he is convinced. The five-time Overall World Cup winner, Marc Girardelli, used the opportunity to talk shop with Anton "Jimmy" Steiner (Hahnenkamm winner 1979) and Fritz Strobl, Streif record holder since 1997. "I am glad that I don't have to race down there anymore", laughed Girardelli, even though he celebrated three Combined and three Slalom victories in Kitzbühel, as well one Downhill Triumph on the Streif in 1979, which he describes as one of the most important wins in his entire racing career. On the other hand, Kitzbühel's ski and coaching legend, Hias Leitner, could be found as usual having a Chat with his "boys", former proteges, Manfred Pranger and Mario Matt. "I'm going to show Mario a whole new perspective of Kitzbüehl this year", promised Pranger with a grin. "After all, I finished my career one year before he did - which makes me a real "Kitz-Insider".